Cincinnati-based Kenner Products was a toy company known for promoting the research and development of toys based on new concepts and inventions. 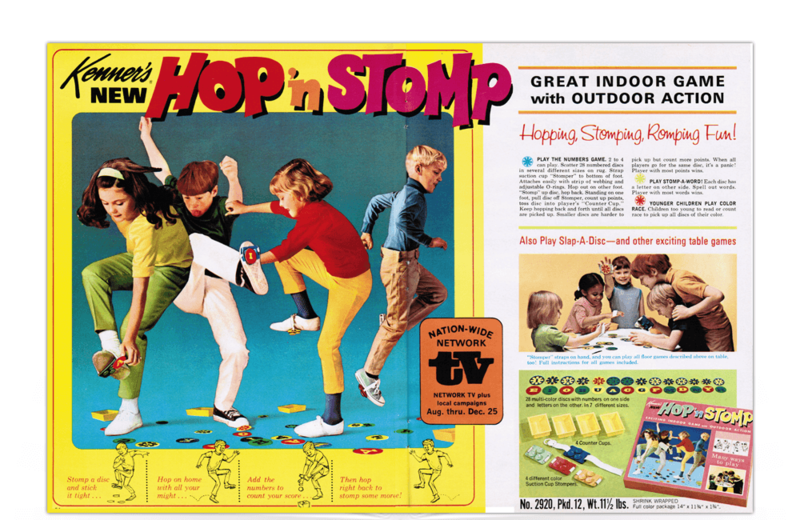 While the Hop ‘n Stomp was not one of their bigger hits, it did offer kids “indoor game with outdoor action.” After all, we could all use a little “hopping, stomping, romping fun” from time to time! The perennially popular Candy Land board game. Inducted into the Toy Hall of Fame in 2005. The Solar Works toy from Ideal allowed children (ages 8 and up) to “harness the power of the sun” via a set of easy-to-understand experiments.